The Patter Store was a space originally utilised to design, draw and build prototype components for locomotive and train compartments which was the tested in the foundry next door. With the introduction of the computer the Pattern Store as such became redundant. Mechanical and electrical engineers were spread out all over the country with minimal interaction. We won a competition to rethink and convert the old Pattern store into an office block for mechanical and electrical engineers. 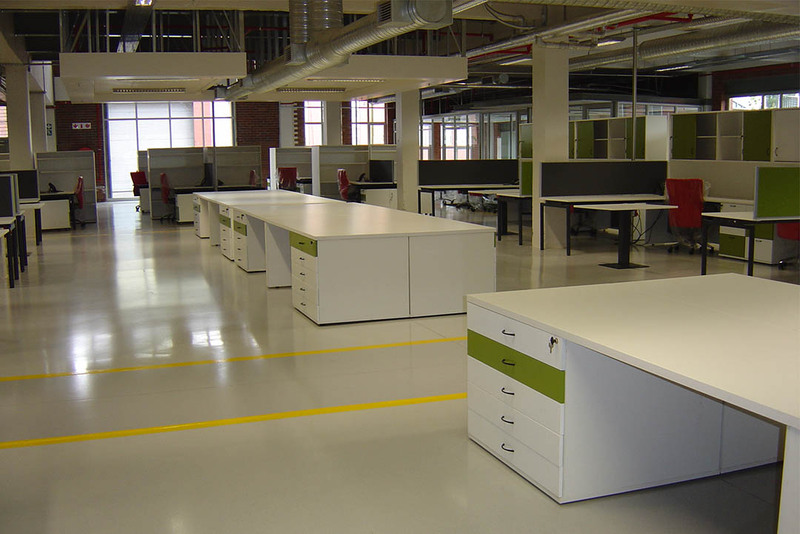 The brief was to provide office space for all the departments spread all over the country, with average office space of less than 12m² per person. To provide a platform where mechanical and electrical engineers can work together in designing new elements for trains produced by Transnet as well as jointly solving any problems that might arise. The terrain is located in the middle of an industrial complex. 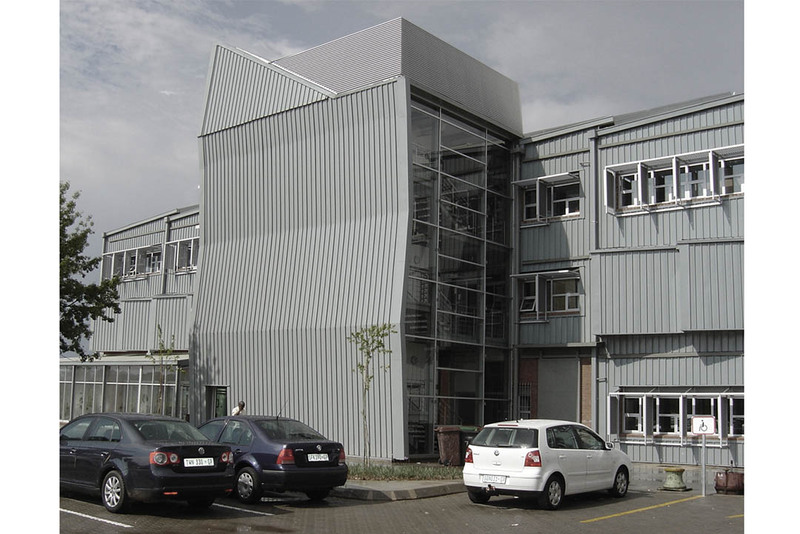 It is a brown field site with the existing building that forms the basis for the main intervention. 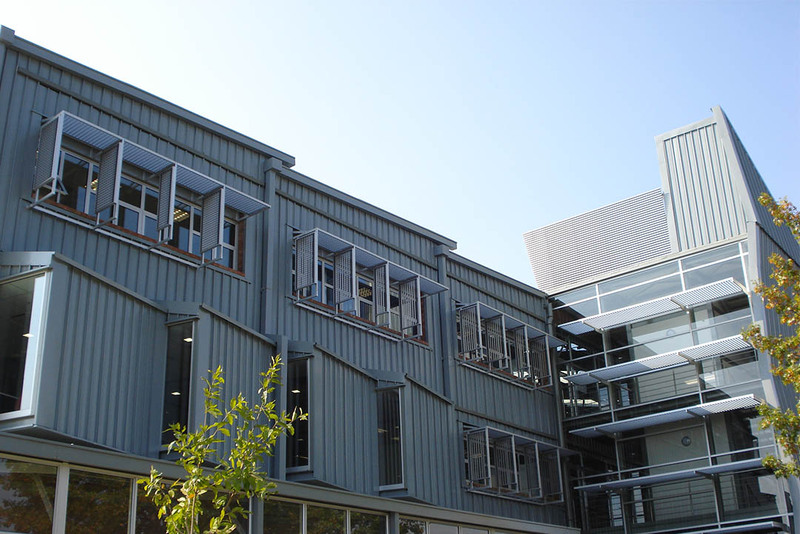 The existing building has a long eastern and western facades. The eastern facade is exposed to the dust and noise from the foundry, while the large exposed western facade led to excessive heat. Located to the north of the site is the railway and dusty shunt yard. The roof of the existing structure was rusted and damaged, while the ground floor surface consisted of compacted ground. 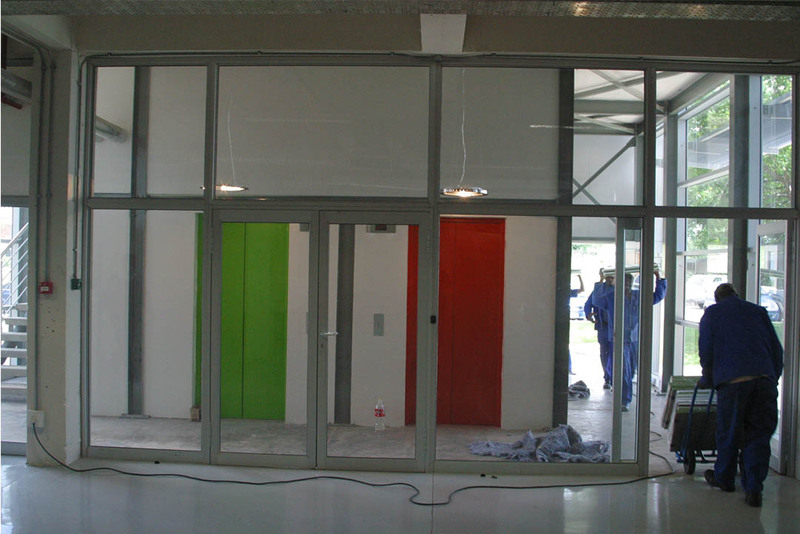 We were faced by numerous challenges to create a pleasant and creative working atmosphere. 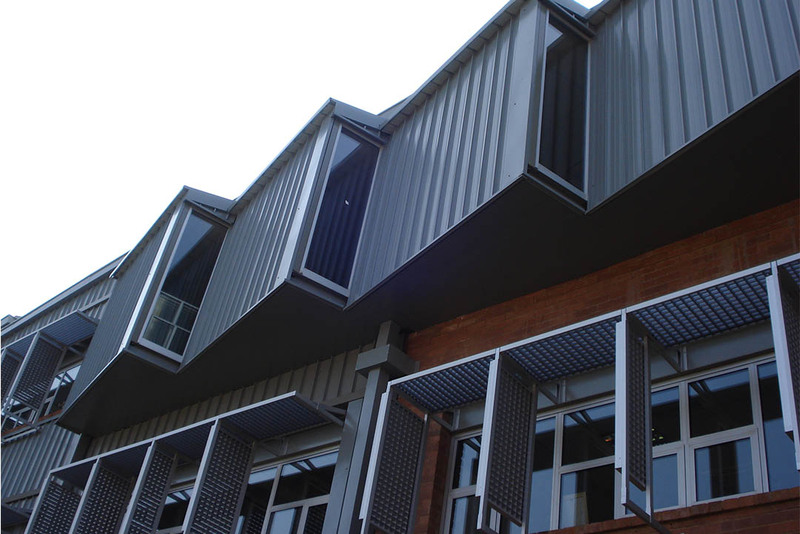 We adapted the design to allow maximum northern sun and southern light into the building. 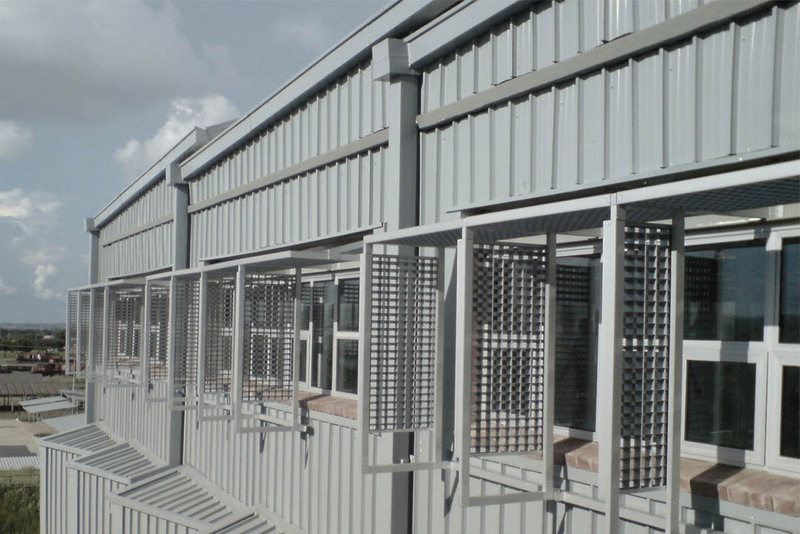 Screens were introduced to the eastern and western facades to minimise sun ingress and exposure. The screens on the eastern facades also serves to shield the building from the noise and dust originated from the foundry. Provision was made for ample parking for both occupants and visitors. 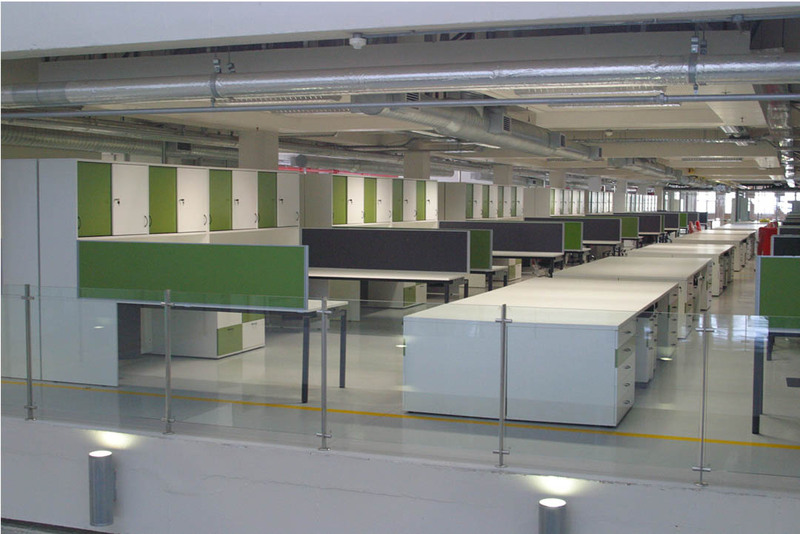 Improved horizontal and vertical circulation was introduced, as well as improved horizontal and vertical connection between occupants/departments and floors. 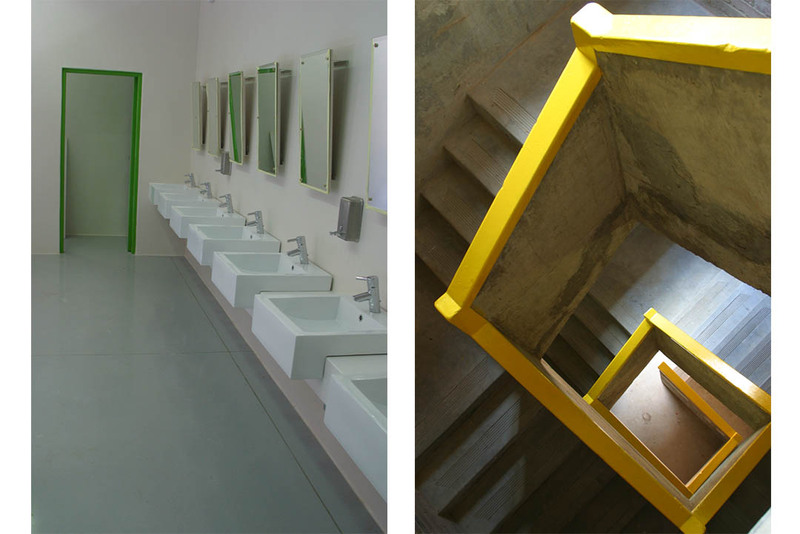 Adequate ablutions for the large number of occupants were designed. We also had to come up with interventions that would permit the occupants/employees on to stay on site as long as possible. We proposed the insertion of a new elevator and staircase on the west. This circulation shaft serves to as a buffer for the western sun. It also serves accommodate the new ice-chillers’ air conditioning system on its roof, in order to make it easily accessible for servicing. The existing saddle roof was replaced with a south facing saw-tooth roof, in order to allow copious amounts of southern light into the building. Extraction fans were included at roof level. They double as smoke extractors and serves to extract hot air during the summer. The new roof is properly insulated with insulation boards and reflective foil. 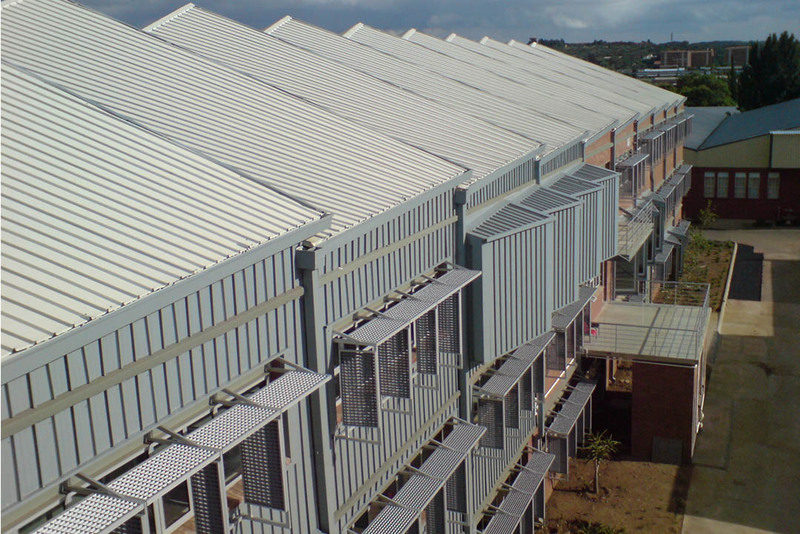 Light coloured powder coating paint was used to reflect as much as possible heat off the roof. Double glazed windows were introduced for their external and sound dampening qualities. 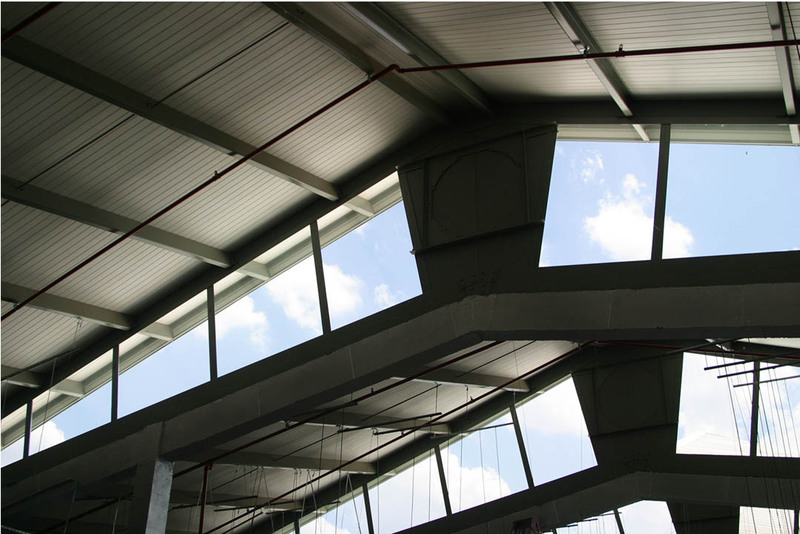 We punched holes in strategic places through the middle floors to allow visual connection between floors, the heat to rise to the top to escape through the roof and light to penetrate to the deeper recesses of the building. 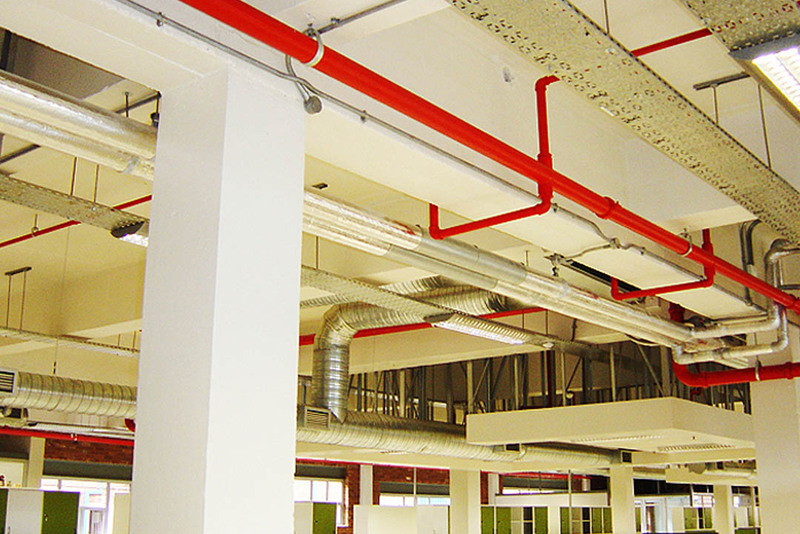 Open building services were introduced to reflect to the industrial past of the building; as well as allowing easy access and visual inspection of leaks and problems without damaging the ceilings and disturbing the employees. We created coffered ceiling zones in order to provide zones within large open floor spaces these as well as for its acoustic properties. We propose an open plan office layout in order to fit as many employees as possible, as well as promote interaction between departments. Everybody has a view through the window in a non deep space, open plan office layout. Glazed offices (fish tanks) were provided for management in order to create privacy and to secure their documents, while promoting literal and figurative transparency. 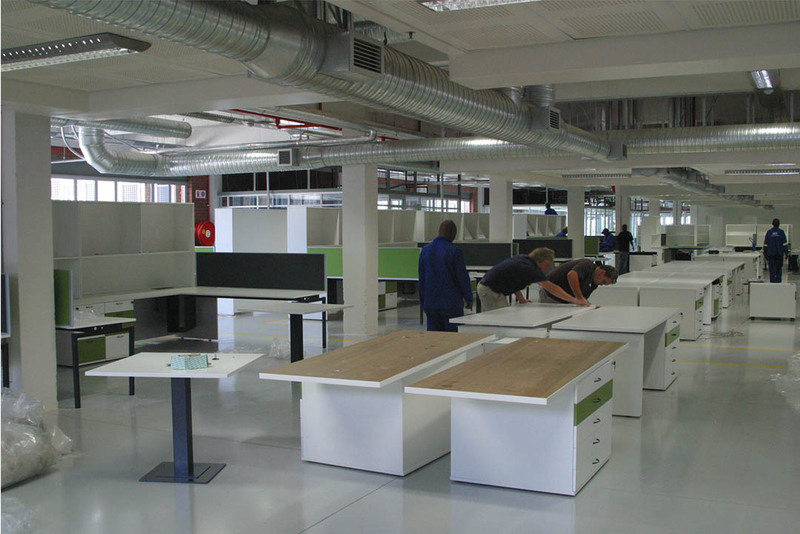 Modular furniture was designed to fit in as many employees as possible as well as optimizing adaptability of department sizes and employee quantities. Provision was made to ensure that employees were supplied with high quality, comfortable office chairs in order to enhance their posture, comfort and health. 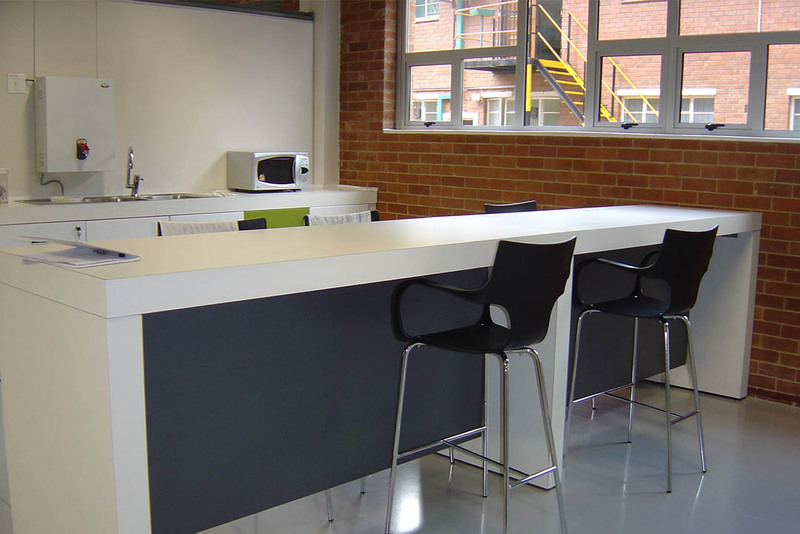 Social lounge and kitchenette areas were introduced in order to promote impromptu interaction between different employees and departments, this creates an atmosphere inducive to better and quicker problem solving. Flexible conversation/board rooms which can be adapted through sliding away intermediate walls creating flexible four times four small conversation areas to 16-seater boardroom areas which can be booked by individuals to departments in advanced were introduced. These social areas and conversation rooms protrudes from the western facade with solid western walls, but southern glass to allow as much natural light as possible. A cafeteria is provided with outside veranda and garden area in order to provide the employees with further social and recreation areas. Creating the opportunity for them to spend more time on site or at the office instead of driving around for food and other necessities. A smoke free building was proposed with one smokers’ balcony over existing ablutions on the western side of the building. 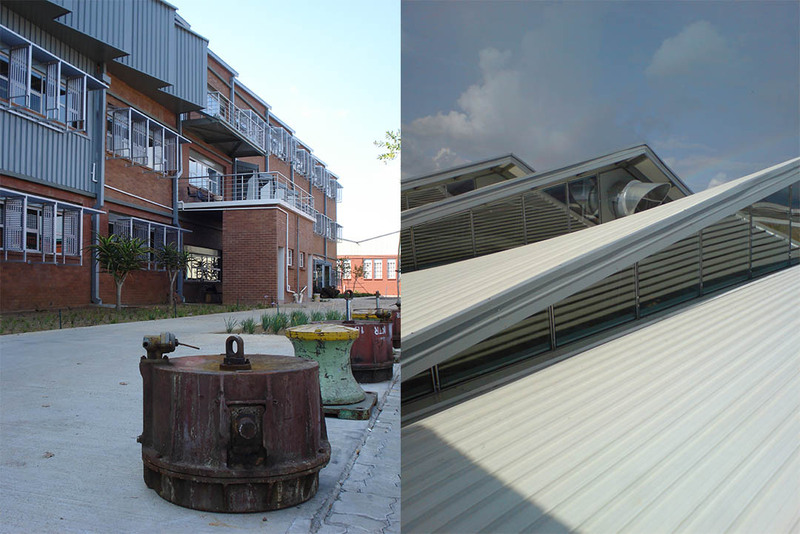 Ablution facilities, server and print rooms were placed on the eastern side of the building in order to block the eastern sun and further reduce the noise ingress from the foundry areas. The platform to the west of the building is proposed as disabled and visitors parking only. The shunt yard to the north of the railway line and building, is utilize for covered parking for the more than 400 employees, with a first come first park principle. 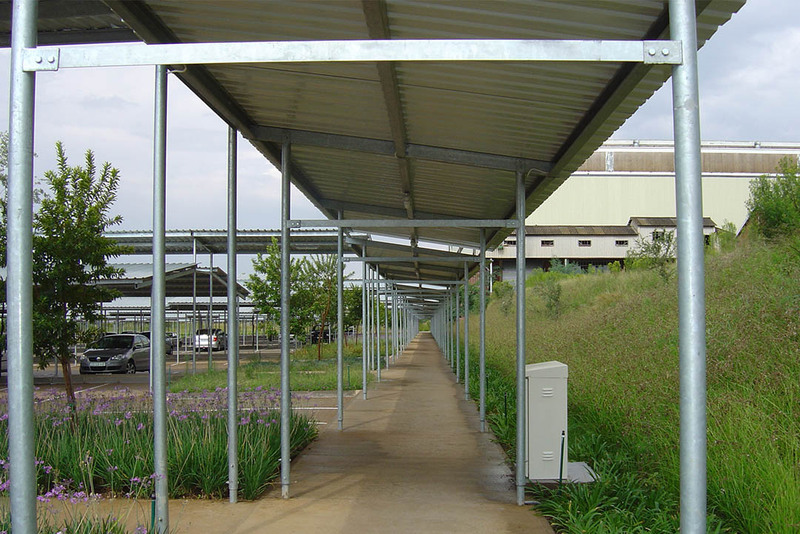 Benches and trees form part of the covered parking design in order to provide natural shade and greenery in a large expanse of the parking area. 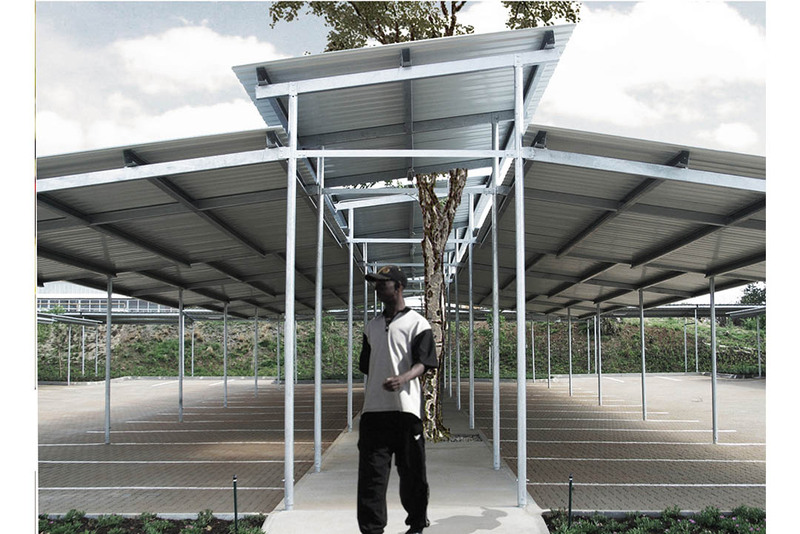 Photovoltaic panels are proposed as shading for the cars in order to supplement the electricity needed for the extra electrical load required at the Koedoespoort complex. The ice-chillers’ conditioning unit makes ice during the low consumption period at night, and converts the ice into cool air during the day. The building climate and windows are controlled by a server and building manager to optimize the cooling and heating of the building. 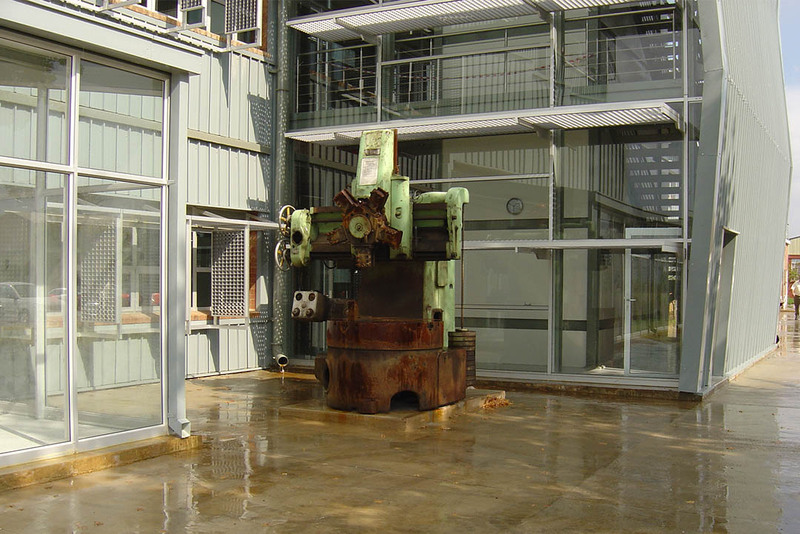 Existing locomotive parts and other machines created in the initial packing store was reintroduced as public art in and around the building.